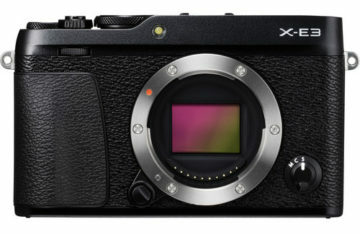 Today Fujifilm announced the latest camera in the X series, the Fujifilm X-E3. 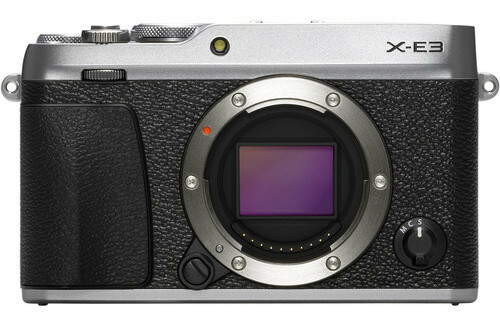 With its rangefinder design, it can be considered the mid-range counterpart to the X-Pro2. The first thing X-E2/s users will notice about the X-E3 is the updated design. In addition to being smaller and lighter than its predecessor, it has a cleaner appearance and more subtle grip out front. It comes in both pure black and a combination of black and silver. On the rear, we find an AF joystick in the place of the four-way control pad and fixed 3-inch 1.04M dot LCD touchscreen. It supports touch shot, touch AF, focus area selection, pinch and zoom capabilities, as well as an all-new “Touch Function” feature which lets you call pre-assigned functions such as white balance or ISO by flicking your finger up/down/left/right on the screen. The electronic viewfinder is a 0.39-inch OLED type with 2,360k dots of resolution, 100% coverage, 0.62x magnification and a refresh rate of 54fps. New to the X-E3 and the X series as a whole is Bluetooth connectivity. With it activated, you can maintain a low-power connection between the camera and a smart device to easily transfer your images. 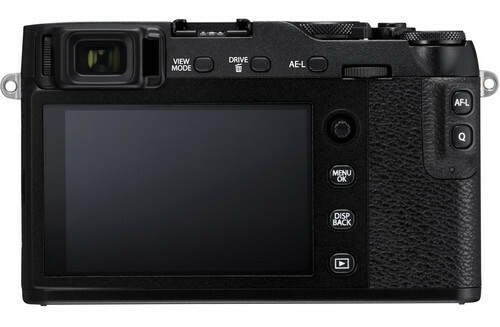 Like the other third-generation X series cameras, it comes with the latest 24MP APS-C X-Trans III CMOS sensor, hybrid AF system with up to 325 points (7×13 and 13×25 grids selectable) and 4K recording up to 30fps. The AF algorithm has been updated, which makes the camera capable of tracking a subject twice as fast or half the size in comparison to the X-T2. However it won’t maintain this advantage for long, as Fujifilm is planning to implement the same update on other cameras via firmware later this year.